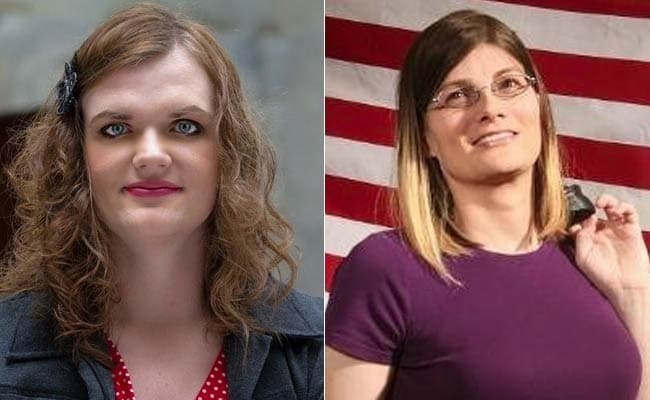 Los Angeles: Two transgender women have been selected by primary voters in Utah and Colorado to run for the US Congress in November. Democrats Misty Snow and Misty Plowright would make history if elected. Snow, 30, a Utah grocery store clerk, is running for the Senate while Plowright, 33, a Colorado army veteran and former Microsoft employee, is running for the House of Representatives. Snow is the first transgender candidate of a major party to run for the Senate, and if elected would also be the youngest senator of the chamber. "While I'm not running on the basis of being a trans woman, my experiences as a trans woman have given me the empathy to understand the struggles of groups that feel that the American Dream is out of reach," she said in a statement. "I'm running to give a voice to the voiceless." The two candidates, who won primaries on Tuesday, will be fighting fierce election battles as their Republican opponents, both incumbents, are ahead in polls. Plowright is not the first transgender candidate to run for the House. The late Karen Kerin, of Vermont, ran for the House as a Republican in 2000 but lost overwhelmingly to Bernie Sanders. Sanders now represents the state in the US Senate and ran a campaign backed by strong grassroots support to challenge Hillary Clinton for the Democratic presidential nomination.